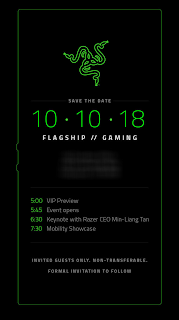 Razer has just sent out a "save the date" invitation for its October 10 unveiling event which will take place in Hollywood. 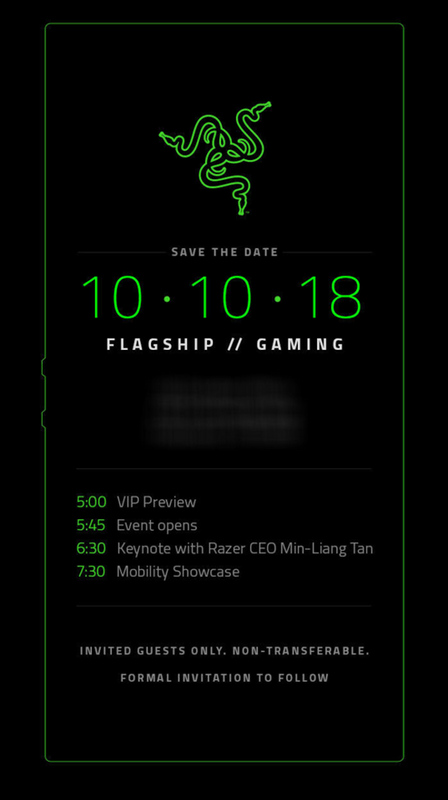 Razer is expected to unveil its second generation gaming smartphone which is the Razer 2 at the event. Going by recent leaks, the upcoming Razer 2 smartphone will look very much identical to last year's Razor phone but with a much bigger bezel. The device will also be powered by Qualcomm's Snapdragon 845 chipset coupled with an 8GB RAM and a massive 512GB internal storage. The Razor 2 might also have the same 120Hz refresh rate for its display just like it's predecessor and the same 4000mAh battery or a slightly larger capacity. For now, the price and the full specs isn't available yet but I guess we will have to wait until the official unveiling to find out.